I love seeing the mix of traditional and modern art in the same area – whether its in a home or on the street. 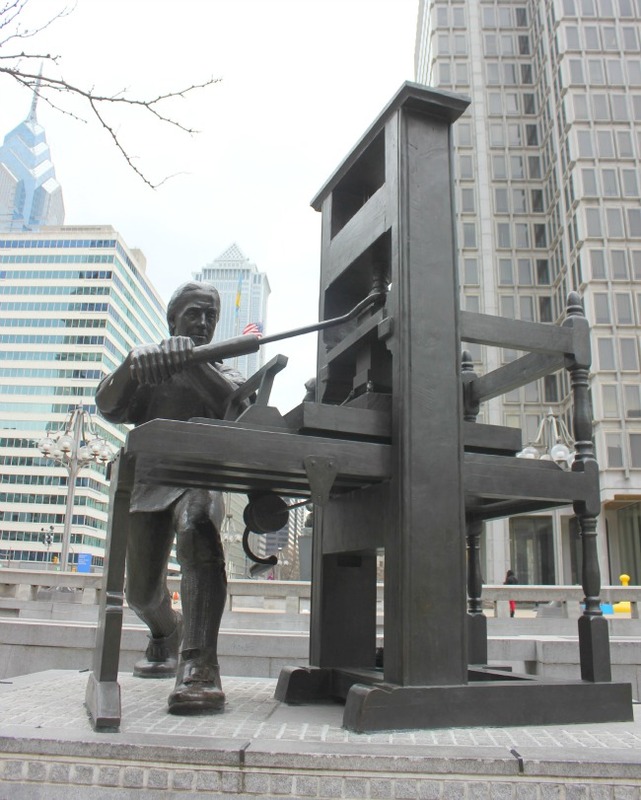 Philadelphia supplied many art moments for me, including walking around City Hall. In the shadow of such a uniquely traditional and ornate building, I was happy to see so much contemporary art, boldly contrasting against the same sky. 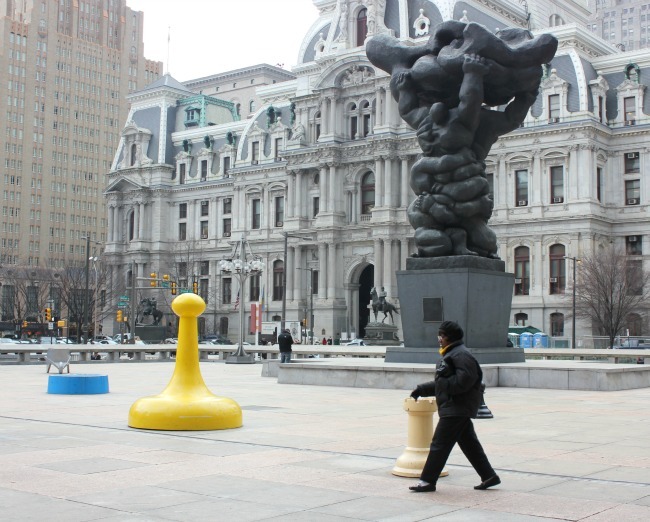 And not only was the art modern, it was playful – chess pieces and domino pieces littered the square, directly behind a bronze statue of former Mayor Frank Rizzo.